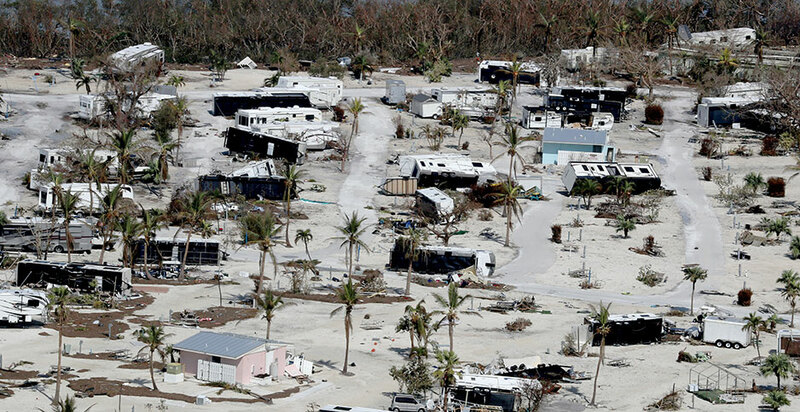 Since late August of this year, three hurricanes – Harvey, Irma, and Marie – have devastated parts of the southern United States and its territories. In the face of the destruction wrought by these powerful storms, we have seen remarkable and heroic efforts by individuals, companies and non-profits, local governments, state governments, and the federal government to respond. In each case, individuals have come to the aid of their neighbors and friends. Businesses and companies have sought to throw their doors and wallets open to provide shelter, food, and rescue. Governors have acted forcefully and with focus before, during, and after the storms. These storms have revealed the strong social networks and incredible importance of social capital in responding to devastating natural events such as these. Resistance in the face of these natural threats is a powerful and compelling human response. On the one hand, it is a force for good: individuals stocking supplies, boarding, ready to batten down the hatches, survive the storm and, out of the wreckage, help themselves and their neighbors. This is human resilience at its best. But resistance, no matter how stoic, does have its costs: during natural disaster events, it can put resistors at risk at the expense of first responders and others when they do not heed the call to evacuate. Over the long term, resistance can leave residents fighting to preserve the past. Resistance, while admirable in many ways, can distract from or preclude the possibility of planning for a future where retreat or relocation may better serve residents, their communities, and their nation. The last of the three recent storms – Marie – and the unfolding devastation it has wrecked on Puerto Rico, hints at the impacts of unmanaged retreat as tropical storms become more devastating. It is possible that tens of thousands of Puerto Ricans, especially those with means and family connections in the mainland, will move off the Island, draining it of the social capital, labor, and talent needed to rebuild, while simultaneously stressing communities and local governments dealing with unexpected large scale migration of US citizens to the mainland. While the Congressman perhaps lacked timing and tact in the face of ongoing suffering during early recovery, the difficult truth behind his statement will have to be taken up by communities in the months and years ahead as they are threatened by increasingly frequent, powerful storms. Patrick Field is Managing Director of CBI and Associate Director of the MIT-Harvard Public Disputes Program. He leads CBI's Energy, Environment and Land Use practice. He often works with and between local, regional, state, and federal governments and is a dynamic trainer and lecturer, delivering curricula to professionals across sectors in the U.S. and globally. "HURRICANE IRMA: Splinters, Cha Cha Cha and a 'rising seas thing’.” Adam Aton, E&E News reporter. Published: Friday, September 15, 2017 in Climate Wire. "Guidance on protecting people from disasters and environmental change through planned relocation.” The Brookings Institute, Georgetown University, Institute for the Study of International Migration, and Office of the United Nations High Commissioner for Refugees. Published: Wednesday, October 7, 2015 in The Brookings Institute. “Does Harvey Represent a New Normal for Hurricanes?” Robinson Meyer. Published: Tuesday, August 29, 2017 in The Atlantic. “Mitigation induced by sea-level rise could reshape the US population landscape.” Mathew E. Hauer. “Amplification of Flood Frequencies with Local Sea Level Rise and Emerging Flood Regimes.” Maya K. Buchanan, Michael Oppenheimer, and Robert E. Kopp. "GOP rep on paying for flood loss: ‘At some point, God is telling you to move’.” Julia Manchester. Published: Thursday, September 21, 2017 in The Hill.